If you didn’t think the new season of ‘Stranger Things’ could get anymore stranger – it definitely can! Season 1 had us all obsessed with Eleven’s (Millie Bobby Brown) telekinesis and the supernatural events in Hawkins, Indiana, but left us thinking – what happened to her? Who really is she? And I’m not sure about you, but I’d just started to feel like I was part of the gang, especially after the return of Will Byers (Noah Schnapp) from the infamous, always-elusive Upside Down. Well, the mystery lives on, and even though season 2 answers these questions, of course, it creates a million more. As the Duffer brothers promised, this season really is bigger, darker and scarier! 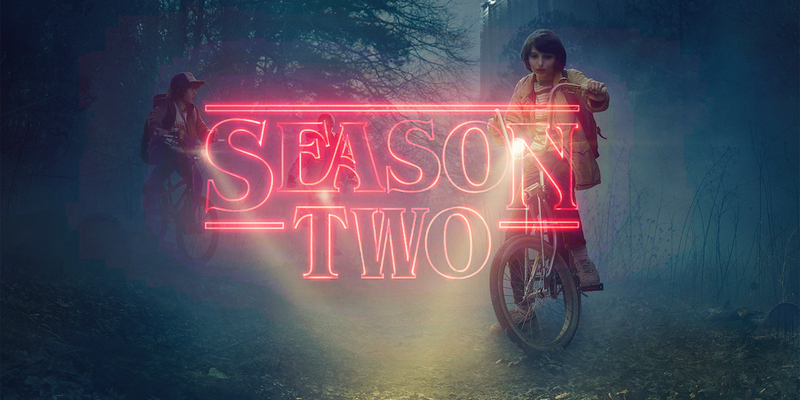 The audience gets thrown into the Upside Down more times than you thought you ever would, making it spooky, and we really start to get to know the characters. But I would say, episode 7’s ‘The Lost Sister’, while interesting to understand Eleven’s powers, strayed a bit too far from the Indiana the audience is used to, especially only for a one-off occasion. Although you’ll be happy to hear, the season’s still full of Dustin’s (Gaten Matarazzo) charming, witty lines. If you were going to pick any episode to watch in this season, you’d be crazy to miss the season finale… so why not watch it all? I love this show! Fabulous review! Game Of Thrones Is Nearly Back! All the winners and memorable moments from the Oscars.